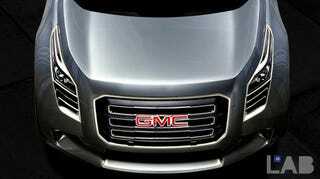 When you think "GMC," do you think soft-roaders for the city? Really? Not even one that's "professional grade?" Huh. Can't imagine why not. Well, the GMC Urban Utility Concept's going to right that wrong. Here's a tease ahead of Detroit.